"MY Merc with a Map Pack” DLC (confetti explosion!) 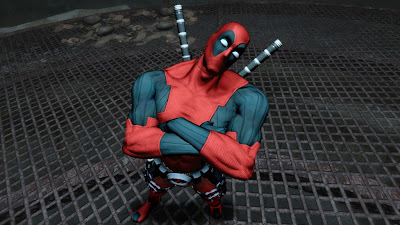 adds two new maps – GRT Plaza and Inside the Tower – to Deadpool Challenge mode, as well as two b-b-b-b-bonus costumes – the D-Pooly and Uncanny X-Force suits only for use in the unlockable Infinite mode where your stats are tracked on a global leaderboard. · A midnight launch party at the GameStop with the most pre-orders paid BY Activision with a LIVE appearance from ME, Das Pool! – U.S. Only"